�It�s such a joy to discover a businessman who is at the top of his game, yet who has remained fresh, creative, and generous. Add to that a great sense of humor and a clear teaching style, and you have Joel Fotinos.� -Tama Kieves, author of Inspired & Unstoppable: Wildly Succeeding in Your Life�s Work! Contracts provide us with built-in accountability. They encourage us to keep our word to ourselves and to others. They provide clarity and help us to formulate concrete goals. They ensure that we avoid conflict, misunderstandings, and disappointment. In short, contracts enrich our lives and make success not only possible but likely. 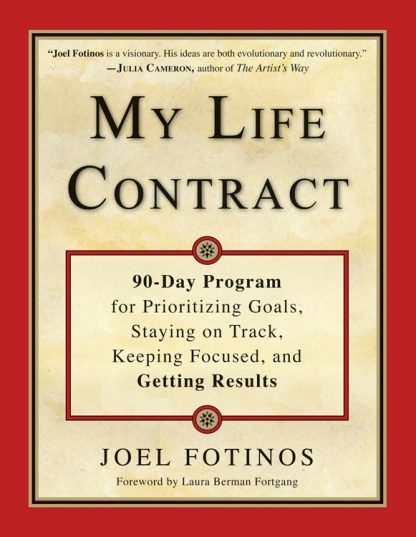 My Life Contract is a program for achieving your personal desires, hopes, and dreams. It helps readers to take their life off �pause� and move forward: no more delays! With practical examples and personal stories, My Life Contract is based on Fotinos� popular class, which has been attended by thousands of people across the country. This is the ultimate 90-day program for moving forward and making your dreams a reality. It is a genuinely helpful and easy-to-use map that explains how life works and how we can work with life.